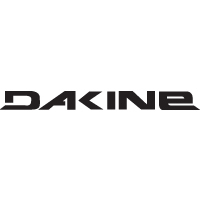 DaKine's kite handle features a rigid profile that gives you maximum control over your board. This handle is ultra lightweight and virtually unbreakable! A handle on a kiteboard makes it far easier for beginner kiteboarders to get into the footstraps, and opens the door for sick board-off tricks as they progress! The Dakine Kite handle has multiple hole placements, and will fit on kiteboards where the screw holes are 6", 6.5" or 7" apart.